Venus, WK33; tonnage 17, length 40 feet, 48 hp Gardner engine. Built for Alexander MacKay of Dunbeath by Alexander's of Wick, 1929/30. It was then operated by his son, also Alexander, for a time and later sold to Stromness in 1959. This photo was possibly taken shortly after her completion c.1930. 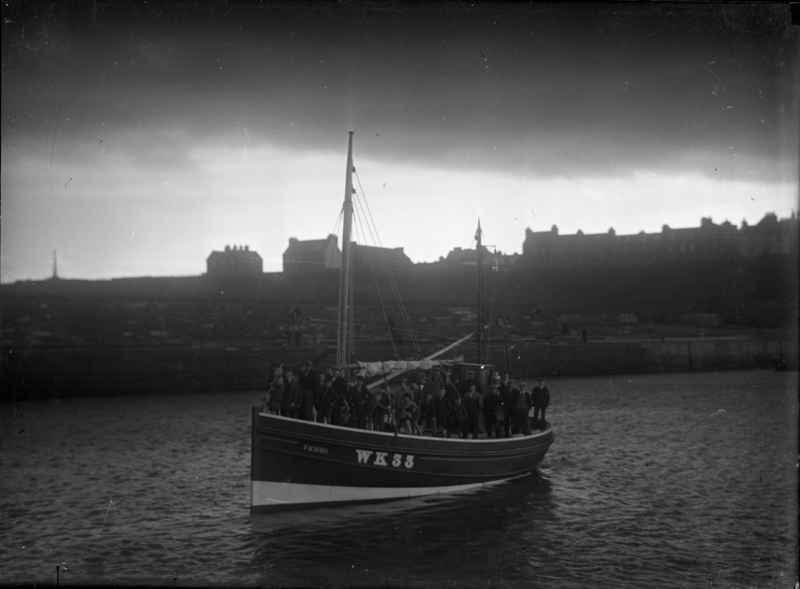 "WK33, Venus was owned by Alexander ("The Solan") MacKay (1849 to 1935), The Shore, Dunbeath." ----- Thanks to Sybil Murray (Alexander's great great granddaughter) for this contribution. WK33, The Venus was the owned by Alexander (The Solan) MacKay (1849 to 1935), The Shore, Dunbeath.